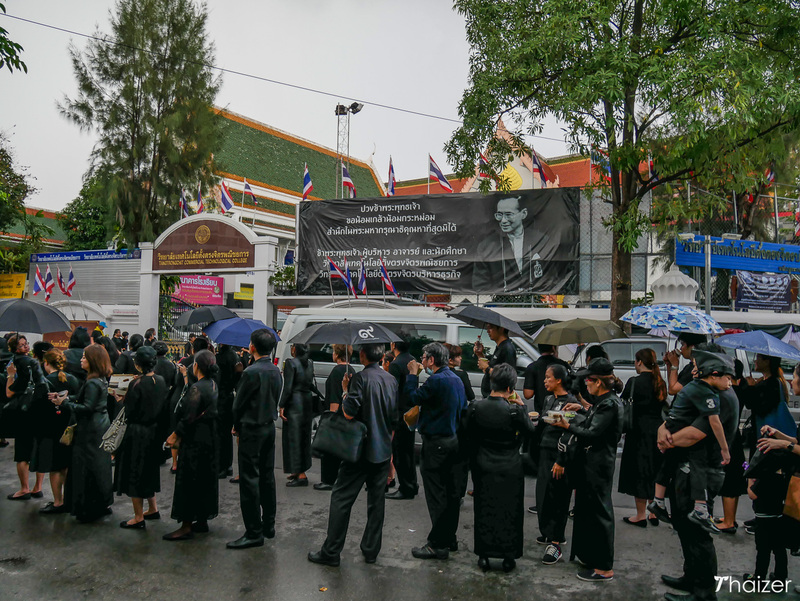 It was an emotional time to be in Thailand as Thai people bade a final farewell to the man they call the Royal Father. 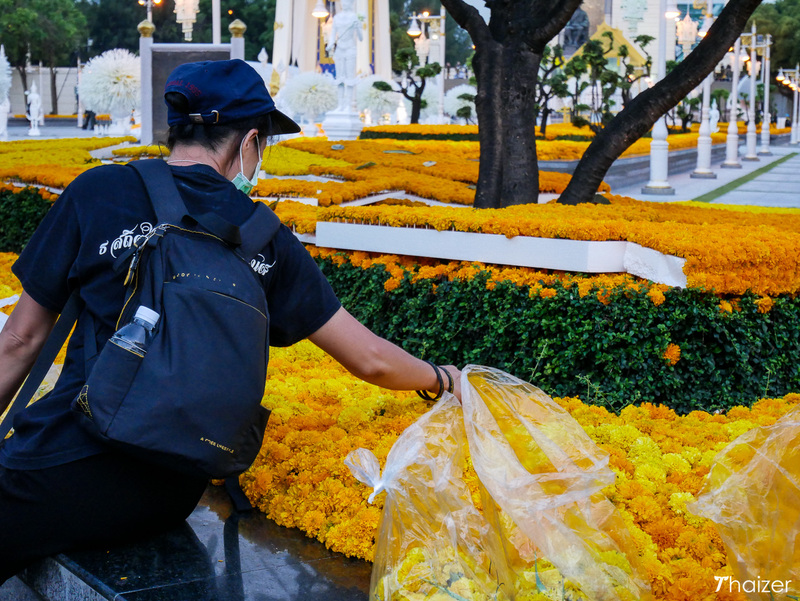 Broadcast live on all Thai television channels, the Royal Cremation Ceremonies were an incredible spectacle, but it was the devotion and dignity of the Thai people that were particularly poignant. 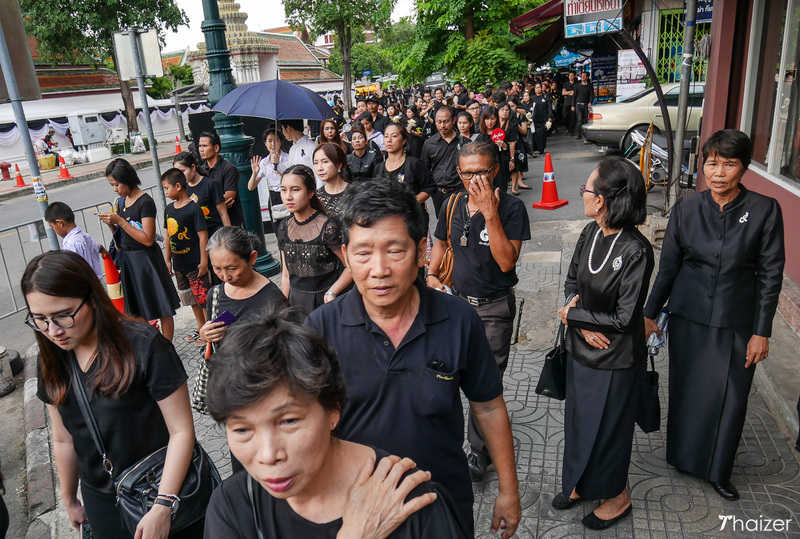 Respectfully dressed in black, Thai people arrived in Bangkok from all across the country to pay their last respects to the late King ahead of his cremation which, in Buddhist belief, marks the departure of the spirit from the mortal world. Many camped out on the streets of Bangkok for days. It was a stunning display of devotion. 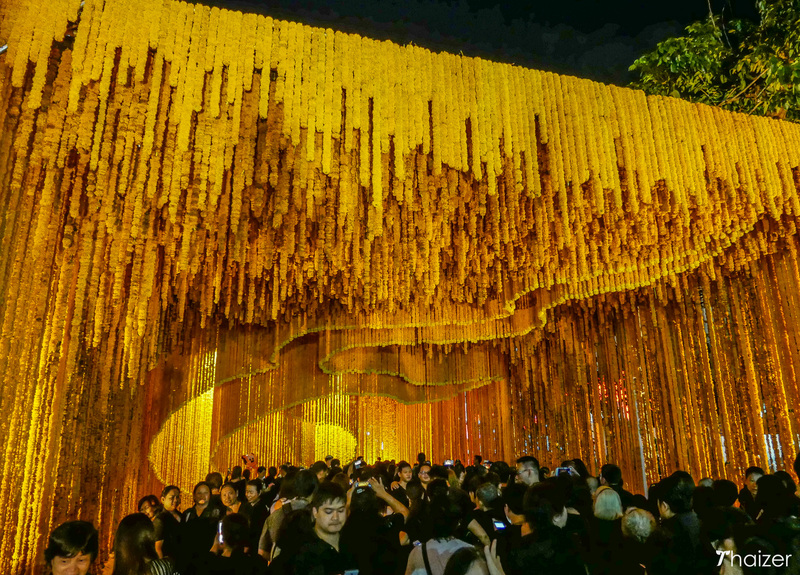 And the extraordinary scenes were repeated across the country as Thais queued for hours to lay sandalwood flowers at Replica Royal Crematoriums that had been constructed in every province of Thailand. 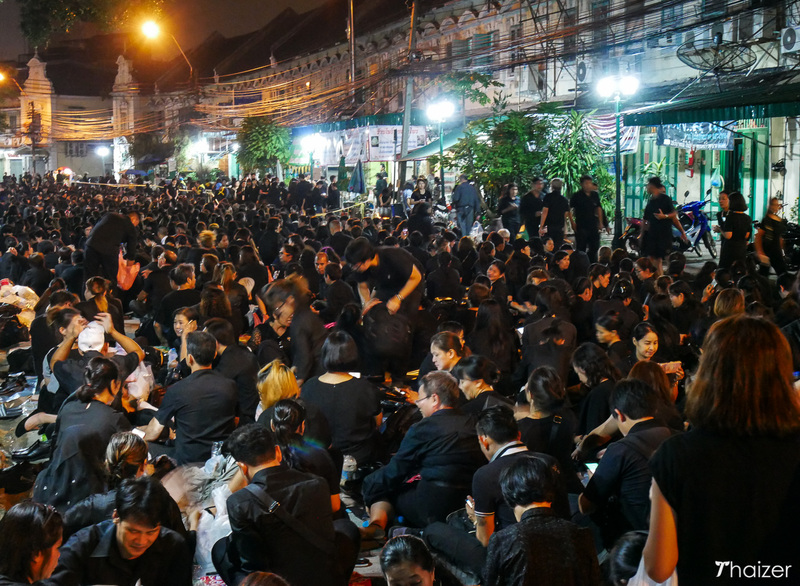 This was the Thai people performing their duty to the Royal Father. Their obligation to a man whose death they grieved as they would a family member. In their countless thousands they queued. They waited stoically in hot sun and then pouring rain. Patiently. Quietly. Dignified. Unified. 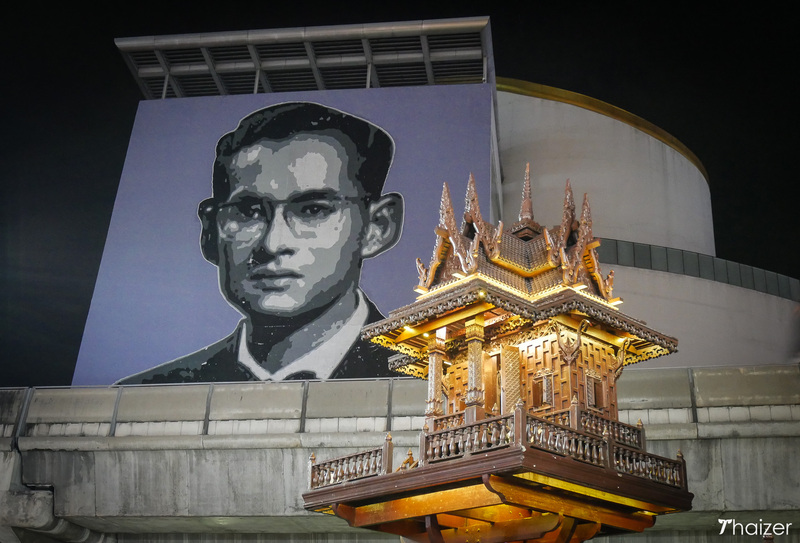 The date on which the King died, October 13, will now be commemorated as a public holiday in his honour. There were no police required to control the queues. There was no jostling, no pushing in, no histrionics. The crowds were impeccable. A sombre occasion, but there were smiles and laughter too. 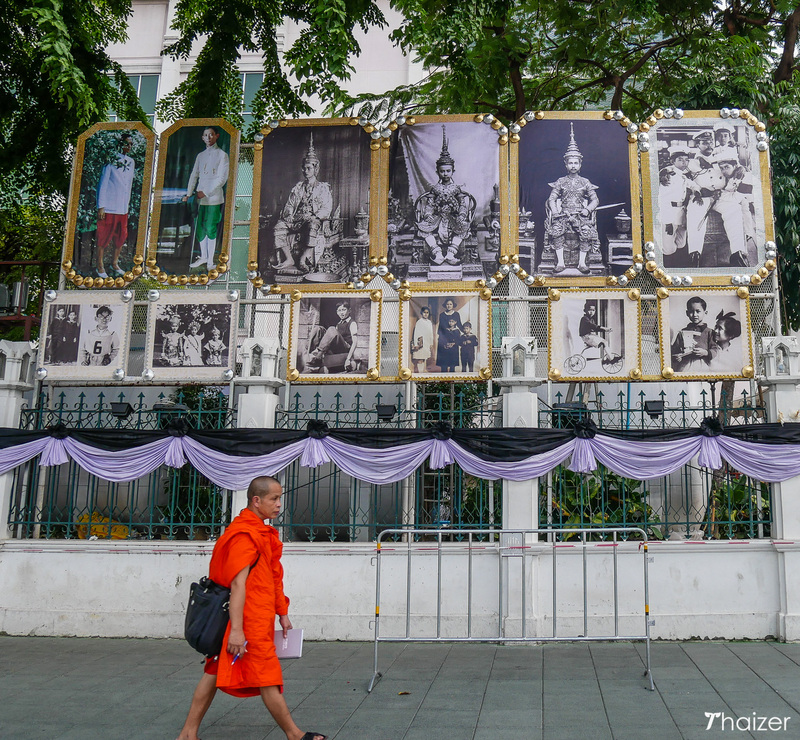 Moments of levity as families came together and new-found friends reminisced about the King. And ever-present in the background, a friendly army of volunteers wearing caps and colourful neckerchiefs. People from all walks of life performing their duty in honour of their King. 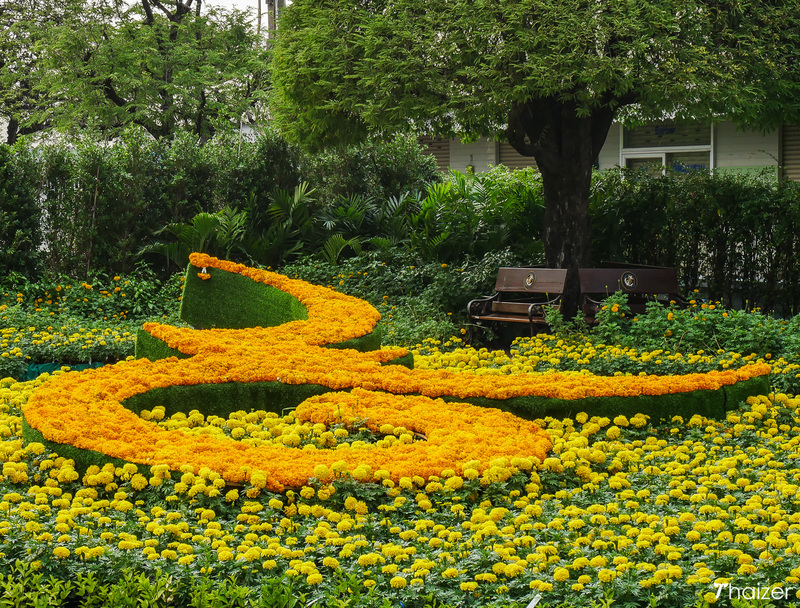 Born on a Monday, the late King’s birth colour is yellow. 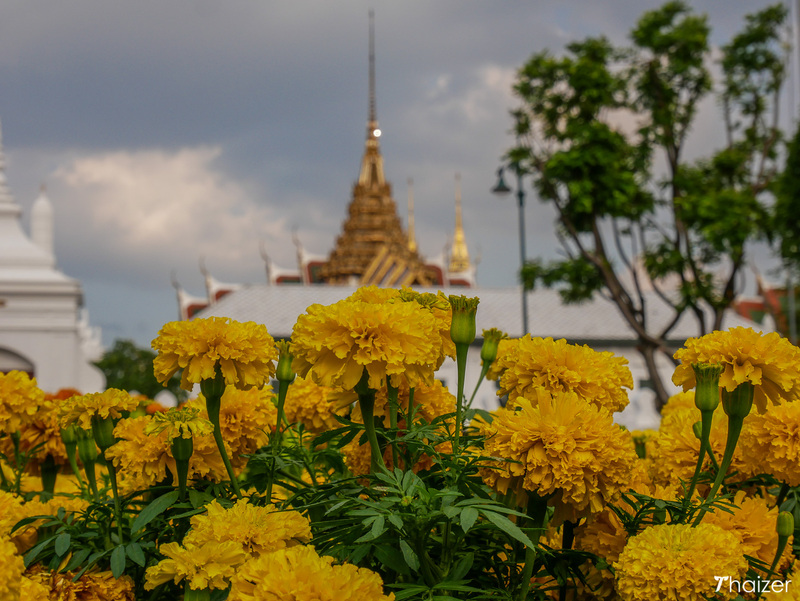 In his honour, bright yellow marigolds had been planted all around Thailand to come into bloom during October for the Royal Cremation Ceremonies. 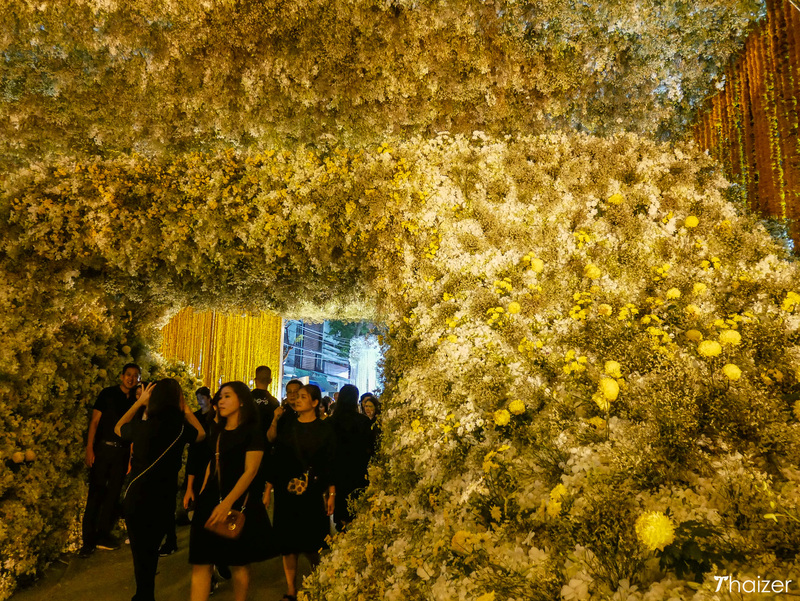 They formed a simple, yet striking floral tribute. 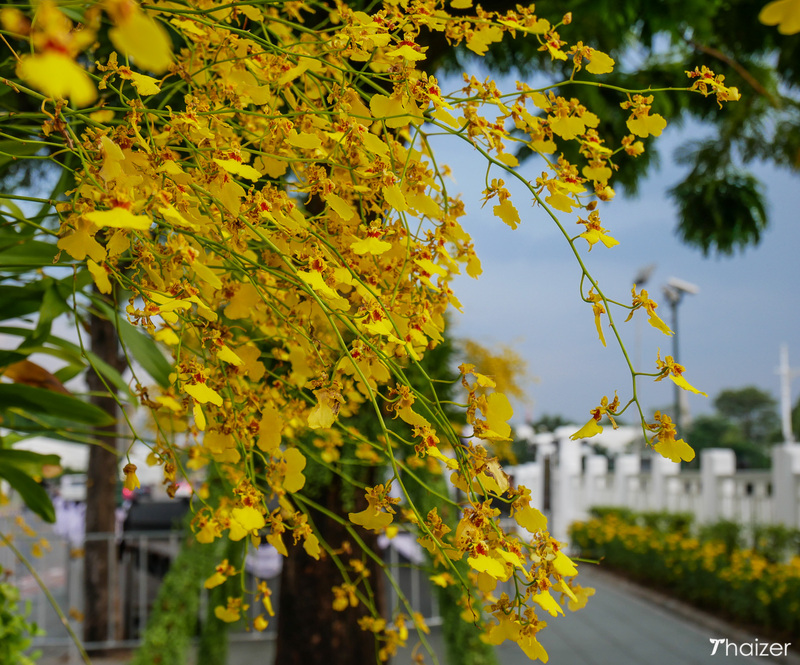 Around the Grand Palace, Thailand’s national flower, Ratchaphruek, cascaded down from golden rain trees. 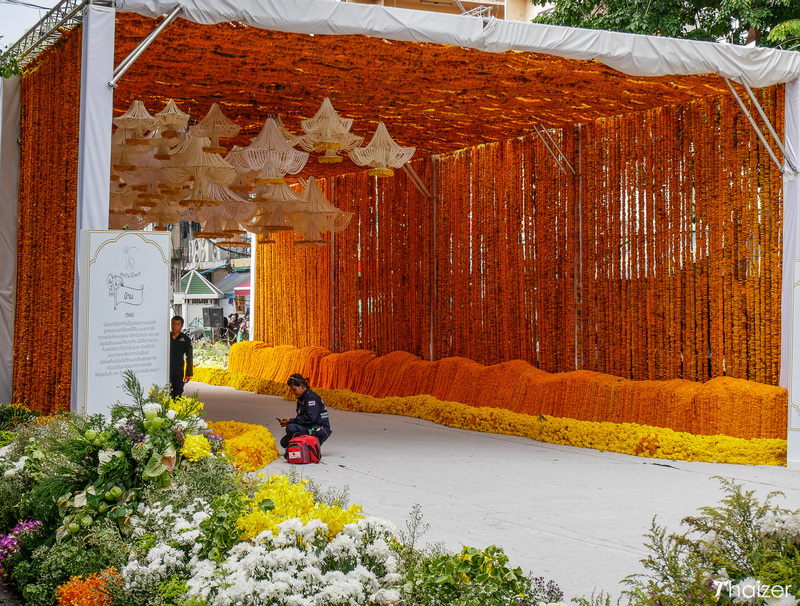 And amidst the waves of yellow, bold flashes of orange with yet more marigolds forming the Thai number nine to represent King Rama IX, the ninth king of the Chakri dynasty. 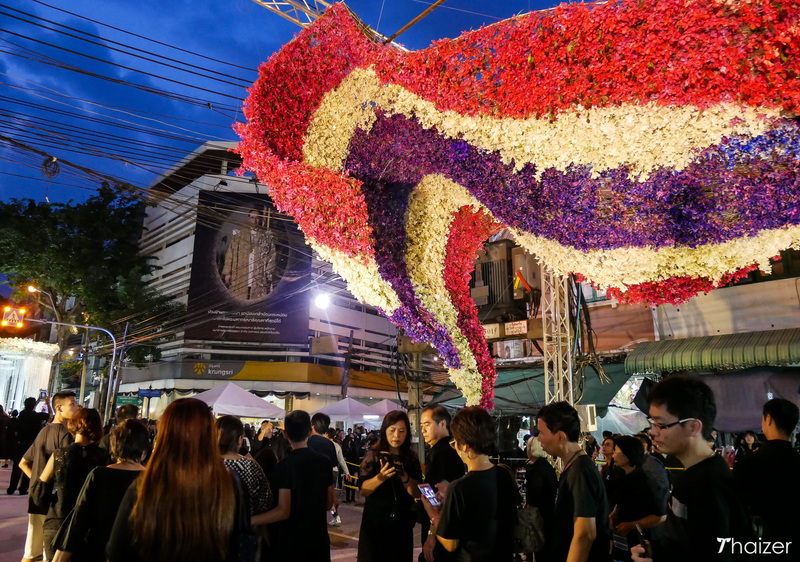 There were floral displays all around the Thai capital with the most elaborate to be found outside Bangkok’s Pak Klong Talad Flower and Vegetable Market where the traders joined together to set up spectacular floral archways that represented the King’s life and his many Royal Projects. 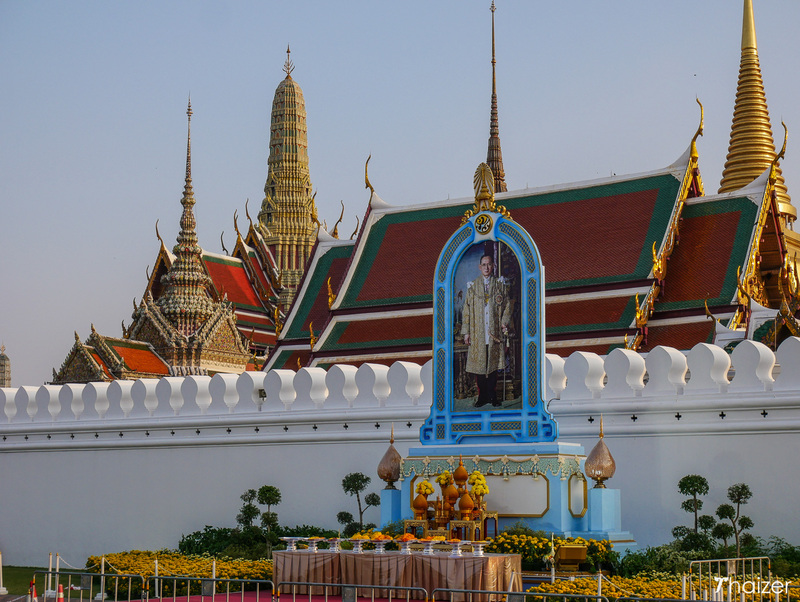 The majestic Royal Crematorium was constructed on the Sanam Luang ceremonial ground in front of the Grand Palace. 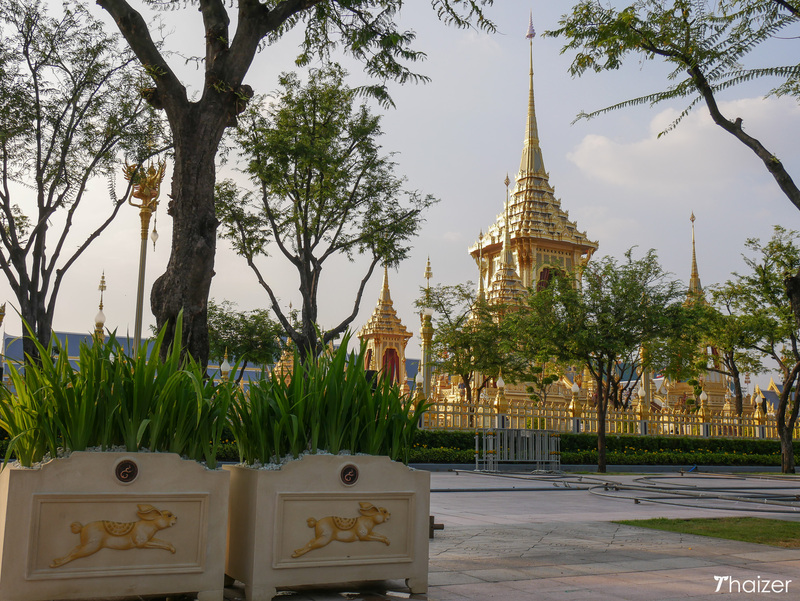 All around the glittering spires and pavilions are symbolic acknowledgements of the life and work of HM King Bhumibol Adulyadej and the Royal Projects he established. 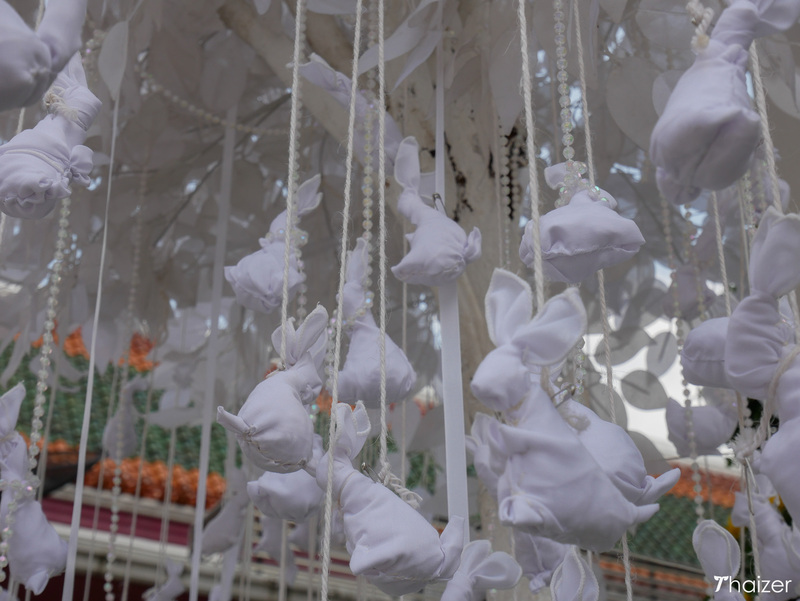 Garudas watch over the site and with the late King born in the Year of the Rabbit, depictions of rabbits appear around the Royal Crematorium. 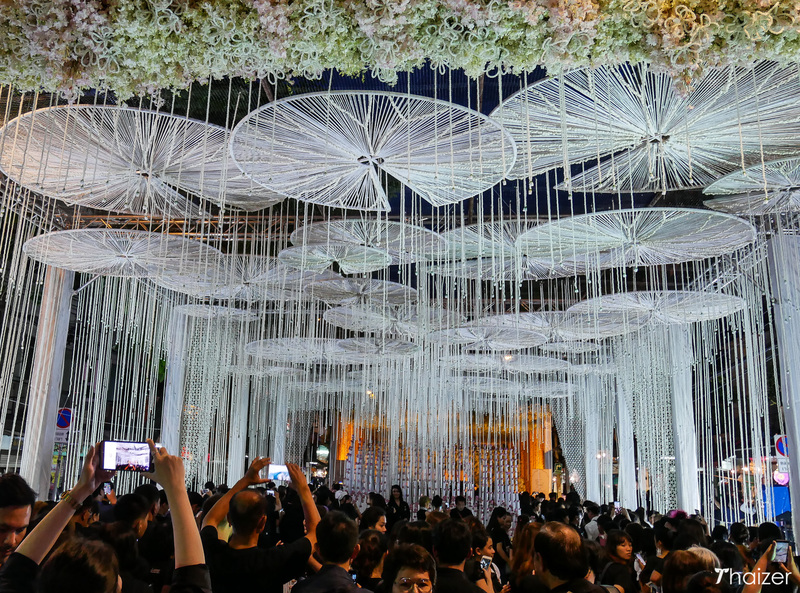 It was an unforgettable experience and a privilege to be in Thailand on such a historic occasion. And despite the sadness, it was still an uplifting experience. 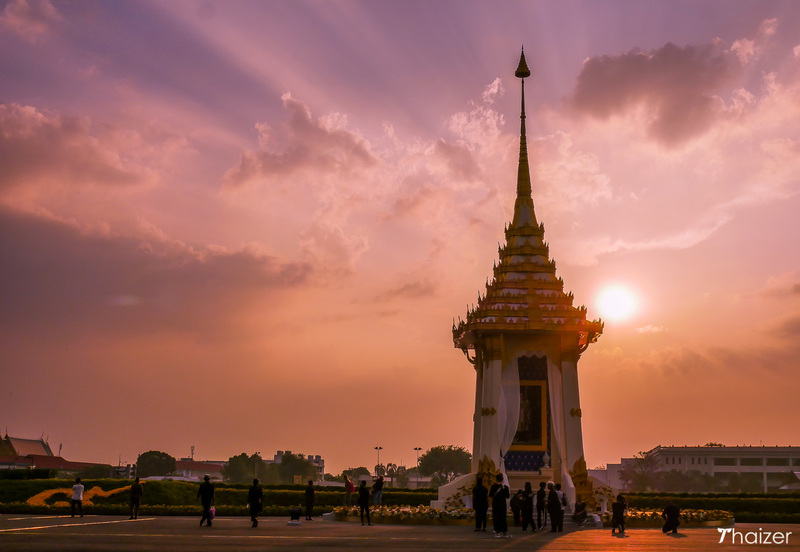 Last week showed the best of Thailand. Simple acts of kindness. Genuine warmth and hospitality. People coming together and selflessly helping each other. The Royal Father will be proud of his children.